CEO & COO of Collective Wisdom Technologies. Please join Family Office Insights for this luncheon on Thursday, May 10th at 12PM. If you care to join us, please email admin@familyofficeinsights.com. Family Office Insights sits down with Collective Wisdom Technologies to discuss the scalable technology platform that allows investors to leverage the ‘wisdom of the crowd,’ starting with a solution for crowd-evaluating seed stage companies. 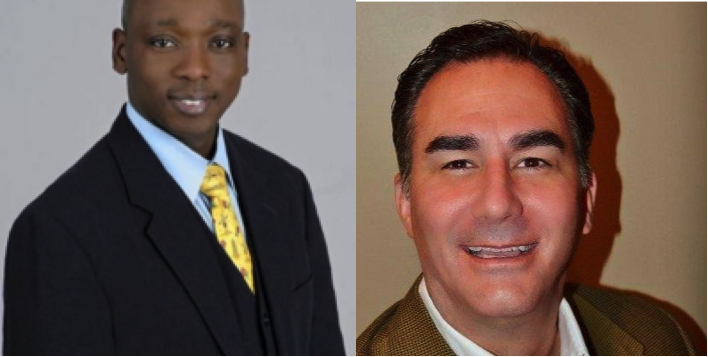 They discuss the opportunity to participate in a $5,000,000 convertible note financing for Collective Wisdom Technologies, which offers a fast funding cycle and guaranteed funding to startups and quality deal flow without the typical management fees, carrying cost and capital calls to investors. Tell us about your background and your company, Collective Wisdom Technologies. My background has been in entrepreneurship and startups for over 30 years. I started my first company while still attending Overbrook high school through the Young Entrepreneurs at Wharton program, which was funded by a $5,000,000 grant from Michael Milken and taught by the National Foundation for Teaching Entrepreneurship, now www.nfte.com. I eventually went on to Wharton to focus on entrepreneurial management starting a series of companies. The last company I founded and worked on was Springtime Solutions, Inc., which I also partnered with Barrett Hicken on. Barrett and I first met when I was looking to build Springtime. I identified executives that could help me build a company with their experiences. Barrett had just left WebBank and had deep expertise in consulting peer-to-peer lending companies like Lending Club and Chris Larson’s Prosper, a space I was looking to get into. After some conversation, we decided to build Springtime Solutions together. Springtime Solutions was a fintech platform for centralizing referrals between the banking system and alternative lenders. We wanted to integrate with core banking platforms like Fiserv and market to their customers. However, even being in Fiserv’s accelerator program INV FinTech, which they run in partnership with Bank Innovation, and knowing their CEO Jeff Yabuki, we still couldn’t get a deal done. Barrett and I decided to fold the company in September of last year. When we were thinking of what to do next, we decided to focus on what we are passionate about and on something that we would love to work on every day. We decided to focus on helping startups and how to give startups greater access to funding and chances of success. While thinking about how to best do so, we came up with leveling the playing field for startups and seed investors and Collective Wisdom Technologies was born. I had a more traditional corporate finance background within a large investment management company working my way up in the organization. I had the opportunity to jump to a small industrial bank in Salt Lake City called WebBank where I was handling a lot of bank sponsorship transactions developing (captive finance companies) the bank would originate loans from startups to large fintech companies the bank would sell the receivables to these fintechs warehouse credit facilities like Goldman Sachs and/or other large wall street investment houses either to them directly or to off-balance sheet SPEs. Some of the big names I brought on board in included Prosper, Lending Club, CAN Capital, T-Mobile and Dell Financial Services. Through this process, I have evaluated numerous startups to mature operations during the due diligence process to determine if they have the necessary operational, credit, compliance, and management teams to grow into a potentially substantial player in the fintech space similarly to Lending Club and Prosper, OnDeck among others. While at WebBank, I was focused on business development and corporate strategy for the bank reviewing all the various bank sponsorship model opportunities. WebBank was a complete turnaround situation while there we increase division profitability by 700%. I was instrumental in growing the Banks annual loan volume from $40M to $6B and revenue from $2M to $18M. I left WebBank to start my own business, which I still run today. Recently I have been consulting with another bank to develop and grow their bank sponsorship group and evaluating these same types of fintech companies most of which you will have heard of that are expanding in this space. CWT is a new age early seed venture capital structure where we find the entities out there that are looking to grow, and we would fund them based on the wisdom of the crowd, henceforth, we called this Collective Wisdom Technologies. We considered working with fintech companies in the US initially, but we want to be as broad reaching and inclusive as possible. So, we decided to broaden our target audience to all startups in the U.S. seeking seed funding that have a product and or platform in development. The other half of our target audience is accredited investors who want to invest in seed stage startups without being charged management fees or carrying costs. Investors sign up for membership by purchasing the number of shares they want (minimum of $250) and becoming shareholders in CWT. CWT then invests those funds into selected startups and distributes net income from returns, sales, fees and interest income to shareholders. Shareholders in CWT can also choose to vote on applicants and co-invest alongside CWT in selected startups without paying management fees or carrying costs. Investor perception and creating a community with a preventative mindset will be our largest challenges. We have a very different model than what the typical VC investor may be presented with. The way they perceive us is going to be our Achilles Heel. Every venture company is challenged with the same obstacles and they all question how they are going to be profitable or successful. In my opinion, it’s all about the team, the product, and the execution. As we bring the team together of consultants and mentors, we’re here to make sure to help these young companies execute on their plan, so they become successful. Most startups fail because of lack of funding and poor execution. CWT will manage their funding rounds and build a 24/7 community of stakeholders and mentors that monitor their progress, assist their growth and help address potential issues before they become problems. Our key competitors include MicroVentures, SeedInvest, StartEngine, and WeFunder. Our competitors are crowd funding platforms that have a team performing due diligence for a selection process. We give people access like the Shark Tank and American Idol of crowd funding, where people who see have a say. In our case, the people who buy shares in CWT are able to vote on the companies they wouldn’t have access to, if not by being an accredited investor. We also guarantee fast 30 day funding of at least $250,000 along with the support of a community of stakeholders and mentors, who provide on-going feedback to make them successful. And, we allow shareholders that are accredited investors to co-invest alongside CWT in the selected startups. We’re going to turn it on its head. CWT is going to provide funding for some of these great ideas that don’t always get looked at. It gives everyone out there a chance to participate in the upside of a potential unicorn, as well as access to other potentially successful young companies with great ideas that are limited by their own lack of access, and therefore can’t convince a community to get behind them. I believe there are many people out there with great ideas that just don’t know someone connected in this space. We want to help people get a leg up; this will not be the typical marketplace for investors; there are a lot of opportunities beyond the ones seen in Silicon Valley and we want to shine a light on those. Approximately 80% of funding goes to New York or Silicon Valley. Entrepreneurs in the middle of the country and more diverse groups have a harder time getting funding. We are going to make funding more accessible and give investors access to quality deal flow with better returns by eliminating fees. We also want to show that the wisdom of the crowd and predictive analytics approach is better than the more traditional investment committee method. When you ask 1,000s of professionals with various backgrounds including AI, banking, biotech, data science, development, engineering, finance, fintech, law, marketing, retail and technology for example to rate startups, you’re going to get better results than just 3 people on a committee making decisions. The more eyes and knowledge with diverse backgrounds will lead to better investing. Not all applicants will be quality, but our process will weed out the gems and provide quality deal flow to investors. We are looking to raise $5,000,000 in convertible note financing before we start our Tier 2 Reg A+ offering for up to $50,000,000 in operating capital. We are willing to oversubscribe and are looking for a minimum investment of $50,000. Our ideal type of investor is someone who has been around the block enough to understand that just because someone is a part of an investment committee, doesn’t automatically make them more qualified to evaluate startups. We are looking for family offices that believe in the wisdom of the crowd and that data along with predictive analytics can lead to better selection and success rates for startup investing. Additionally, one of the main benefits for investors on this platform is the opportunity to co-invest alongside CWT, where CWT provides $250,000 of the seed financing and the rest comes from opt-in direct investing without the 2% management fees or 20% carrying costs. 1. Accredited investors with experience in business and can help companies in different ways with their Rolodex. 2. Retail investors that buy the Reg A+ shares, but can’t invest in a company on our platform because they aren’t accredited investors. Although this is the case, they can still help those young companies achieve success and participate in CWT’s return on investing. There could be a type of network within these shareholders that no one would’ve thought to invest in. We believe that the next greatest investment is found where people aren’t looking and where the market hasn’t been created yet. People didn’t know Airbnb would be a big company or that it was something viable, but they created the market and then the demand for it. We build our community through our networks both within the VC and angel investor community. Our approach is going to be to start with the investors first. Through our Reg A+ offering and convertible note offering, we want an investor base with a wide range of experience. We’re going to reach out to our network; various startup investing and networking groups, and do paper click advertising to reach accredited investors. The minimum price for shares will be $250 during our Reg A+ offering, in order to attract retail investors, who don’t qualify as accredited investors. Everyone won’t be interested in the same startups that apply. But, having a broad base of shareholders will allow us to have enough interest in the platform and voting on companies every month to make it a driving force. Our mission is to make funding more accessible to entrepreneurs; to create a community that supports startups; and allow investors to ditch the typical fees charged by VC funds. Our focus is on completing and launching the platform and the Reg A+ offering over the next few months. We’re starting our fundraising now and ideally would like to secure $5,000,000 through the funding lunch before starting our Reg A+ offering. Byron is a Wharton-educated, passionate innovator with a strong finance background. 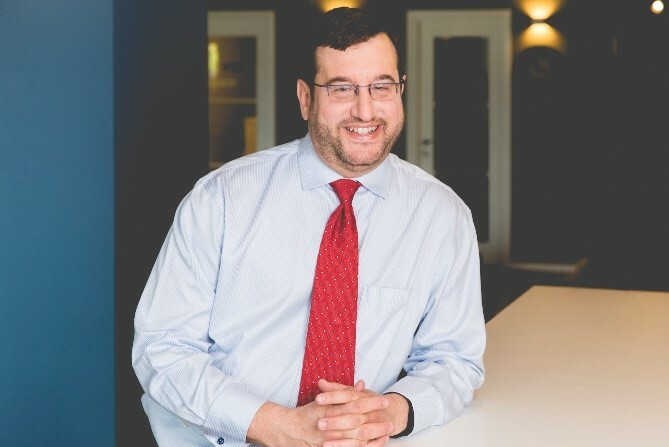 Prior to CWT, Byron was the CEO of Springtime Solutions, Inc., a FinTech company that developed a portal to facilitate loan referrals between the banking community and alternative lenders; Springtime Solutions was accepted into INV Fintech, an accelerator program run by Fiserv and Bank Innovation. Byron’s prior projects include a gourmet chocolate retailer, The Chocolate Library, and an upscale wine retailer with touch screen information kiosks, Discovery Wines. If you have any questions, please contact Bryon at bbennett@collectivewt.com. Barrett is a senior executive with a 25-year proven track record of successfully defining key business strategies and translating them into high-impact actions, operations, and financial results. He specializes in preparing companies for transitions (i.e. M&A, new financing, fast growth), remedying complex strategic challenges, creating company value, structuring deals and transactions, starting new ventures, and managing change. If you have any questions, please contact Barrett at bhicken@collectivewt.com.